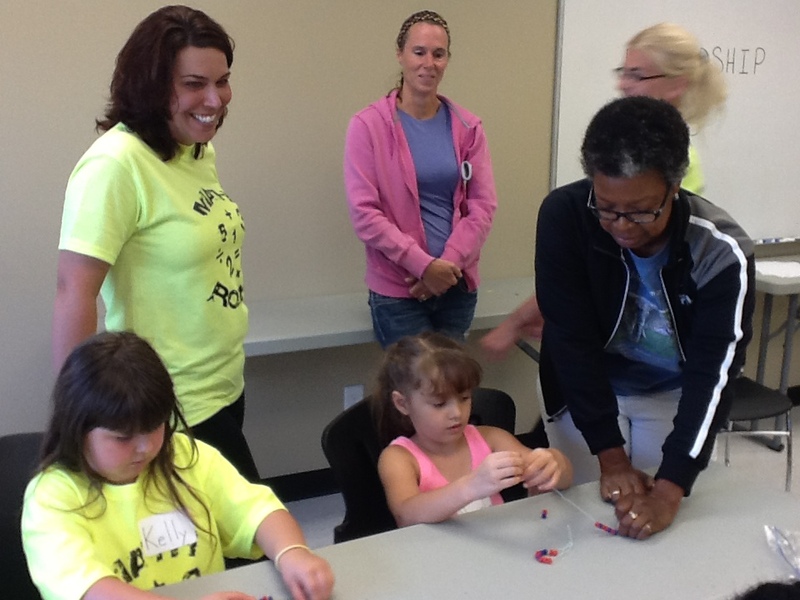 Teachers from the Mansfield City School District interact with math camp elementary students at last summer’s professional development training. Teachers learned to integrate Algebra Project-based curriculum into their lesson plans. Three professors from The Ohio State University at Mansfield will be teaching math to elementary teachers this summer through a $203,789 grant from the Ohio Board of Regents. The grant will provide an Algebra Project-based professional development program for kindergarten through fifth grade teachers in the Mansfield City and Lucas Local School Districts. The Improving Teacher Quality State Grants Program is funded under the No Child Left Behind Act of 2001. The purpose of the program is to increase the academic achievement of all students by helping schools and school districts improve teacher, instructional paraprofessional and principal quality. The funding comes at an opportune time for the Mansfield schools, who just declared a fiscal emergency. “CAMP: Collaborative Applications of Mathematics Pedagogy” is the collective effort of Lee McEwan, Mathematics professor, and Terri Bucci and Michael Mikusa, Mathematics Education professors. In a recent report from the Ohio Board of Regents, 50 percent of Lucas Local School District graduates entering college and 48 percent of Mansfield City graduates required remedial math classes before they could begin college math courses. The highly successful national Algebra Project, which McEwan has led locally for more than five years, works with high school students in the bottom quartile of their class, providing double the number of math classes throughout their four years of high school, with the goal to make them college-ready in math. McEwan’s first cohort is now entering college. The recent extension integrates Algebra Project methods and philosophy into kindergarten through eighth grade curriculum. Bucci and McEwan expanded the high school work by providing professional development, lesson study, and working with Mansfield Mathematics Teacher Leaders in grades K-8. The MTL’s worked with Bucci last summer on a pilot of the camp and lesson study program. That work led to the successful grant for a continued and expanded version of the work. This is the second year the summer math camp has been offered. The program has expanded to include a year’s worth of professional development with course credit through Ohio State. Elementary teachers will attend one week of intensive coursework, followed by one week of summer lesson study connected to a math camp for district students. Teachers design lesson plans based on Algebra Project curriculum, then use the plan to teach during a summer camp, with other teachers silently observing. After the class, teachers discuss the interaction and offer feedback. “The focus is to provide teachers with an opportunity to see the practices learned through their course in action with children,” Bucci said. The professors will provide monthly follow-up professional development at the schools, culminating in a conference to showcase teacher growth and student work, with the goal to create inter-district professional learning communities. Bucci is eager to work with Lucas schools this year. “There were 12 math teachers interested in the program in the preview session from such a small district. That just floored me,” Bucci said. The key to preparing students for college, the professors say, starts with enabling teachers to create programs “where students can be mathematicians rather than receptacles of mathematics.” Local school districts make a huge investment in terms of time and training in Algebra Program teachers, McEwan said. Posted by Christina Drain at 4:00pm February 24, 2014 Posted in Academics, Community, Faculty. Bookmark the permalink.